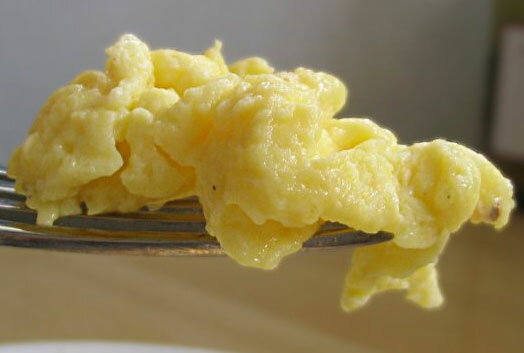 Here’s an extra creamy way to make scrambled eggs! We’re not all geniuses in the kitchen, so Simple Recipes brings you tutorials like this one for beginners. Whisk the eggs, milk and cream cheese until smooth. Sprinkle a a few dashes of salt and a few dashes of pepper of the mixture. Preheat a saute pan over medium heat. Allow the eggs to sit untouched for 15 seconds at a time. Repeat until the eggs have reached your desired texture. If you like your scrambled eggs a bit runny, remove them from the pan sooner. They continue to cook after you remove them. If you would like your eggs scrambled well, leave them in the pan and even cook with higher temperature.